Who was this Mrs. Beeton? And how did she come to write a 1,000+ page tome on the art of domestic management? Born in London on March 14, 1836, Isabella Mary Mayson was born to a linen merchant and his wife. Isabella’s father died when she was but four years old, and her mother soon married again. Isabella’s mother proceeded to have a further 13 children, and Isabella became instrumental in their care. This experience gave her great insight on the management of a family and household. Isabella was eventually sent to a school in Heidelberg, Germany, where she learned French and German, and also became proficient in making pastry. Upon her return to England in 1854, she took further lessons in pastry-making from a local baker. Around this time, she met Samuel Orchart Beeton, the first British publisher of Harriet Beecher Stowe’s Uncle Tom’s Cabin. 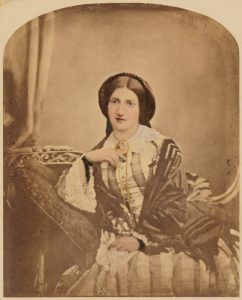 The two married in 1856, and Isabella was pregnant by the time she returned from their honeymoon. Samuel convinced her to begin writing for one of his publications, The Englishwoman’s Domestic Magazine. It was a compendium of fiction, recipes, and other topics of interest to the average Victorian housewife. Most of the recipes were translated from French or sent in by readers of the publication (as we often see done today). In 1859, Mr. Beeton started something new, a series of monthly supplements to the magazine written by Isabella, and by October 1861 had published 24 installments together in one volume as Mrs. Beeton’s Book of Household Management. Remarkably, this book sold 60,000 copies in its first year of publication. Samuel has made some poor business decisions before, but seemed to have completely lost his acumen after his beloved wife’s death, and his decisions henceforth were financially disastrous. By 1866, he was forced to sell the rights to the Book of Household Management. The new publisher, Ward, Lock, and Tyler, suppressed the news of Isabella’s death to make it seem as though she was still alive and creating recipes. Subsequent volumes of the book no longer resembled the original. However, Ward, Lock, and Tyler made a fortune on the publication, which has never gone out of print to this day. 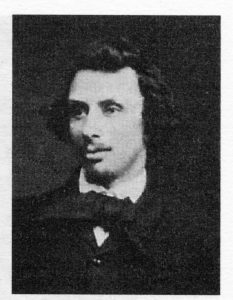 Samuel Beeton died in 1877, his last years clouded by tuberculosis.